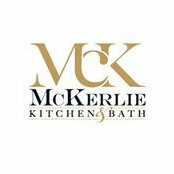 McKerlie Kitchen & Bath will provide you with the help you will need to create your perfect space, one that is functional and comfortable, a space that will reflect who you are and how you live. 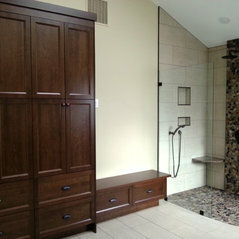 We strive to give the highest standard of quality to you our client. 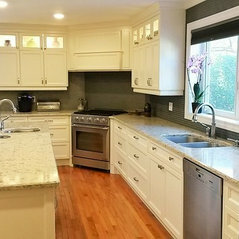 Our mission is TO DO IT RIGHT THE FIRST TIME. 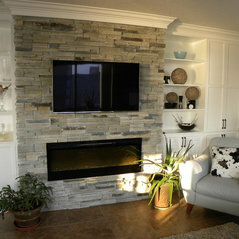 Natural rustic stone with warm tones adds uniformity to this marina condo. 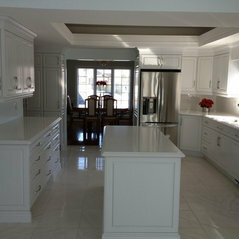 Custom maple shaker kitchen. 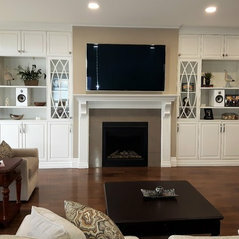 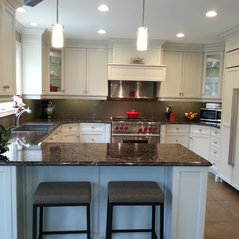 Cabinets painted in Decorators White. 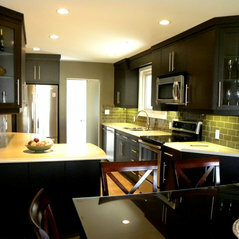 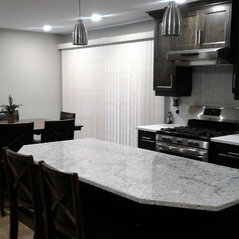 Contrasting white and black shaker kitchen with desk area. 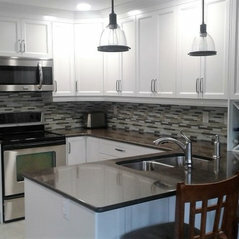 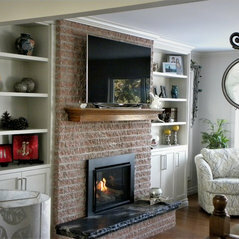 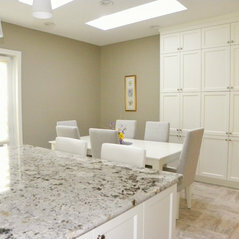 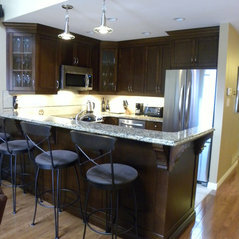 This Cherry Kitchen is now an amazing area to enjoy with family and friends! 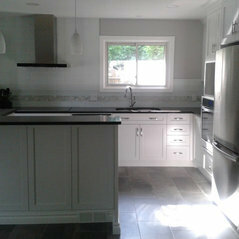 This was a complete kitchen renovation.Some structural and flooring, electrical and new cupboards. 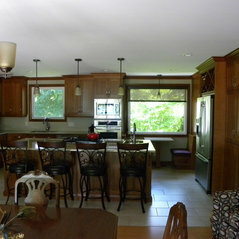 New drywall and ceiling as well. 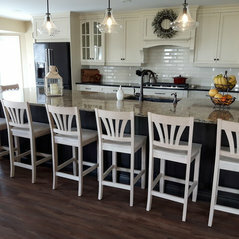 Kommentiert: Bar stoolsGood morning Andrea, Im Sorry I do not have that information... 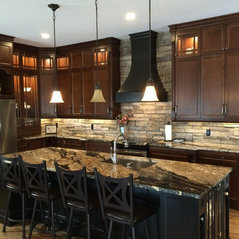 The owner is not available to answer that question. 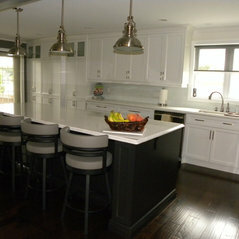 We are the designers of the kitchen but the homeowner purchased the bar stools.